It’s only been a short three months since the GDPR went into effect, but it’s evident that the privacy landscape is changing, and the GDPR was just the tip of the iceberg. Since the GDPR, new privacy laws and updates have been passed in California, India, Brazil and Australia, just to name a few. OneTrust’s world class in-house team of privacy experts and global team driving product innovation allows us to become the most widely used solution for enterprise privacy management and marketing compliance software. Over 1,500 organizations across more than 75 countries – including 200 of the Global 2,000 – are using OneTrust to measure, analyze, and report risk, as well as demonstrate regulatory compliance and remain accountable when processing personal data. Best New GRC Product of the Year at the International Business Awards: Known as “the international Stevies,” the Stevie Awards competition attracted more than 3,900 nominations from organizations of all types and industries in 74 nations. OneTrust was named the winner of a Silver Stevie Award in the Best New Product or Service of the Year- Software- Governance, Risk & Compliance Solution category. 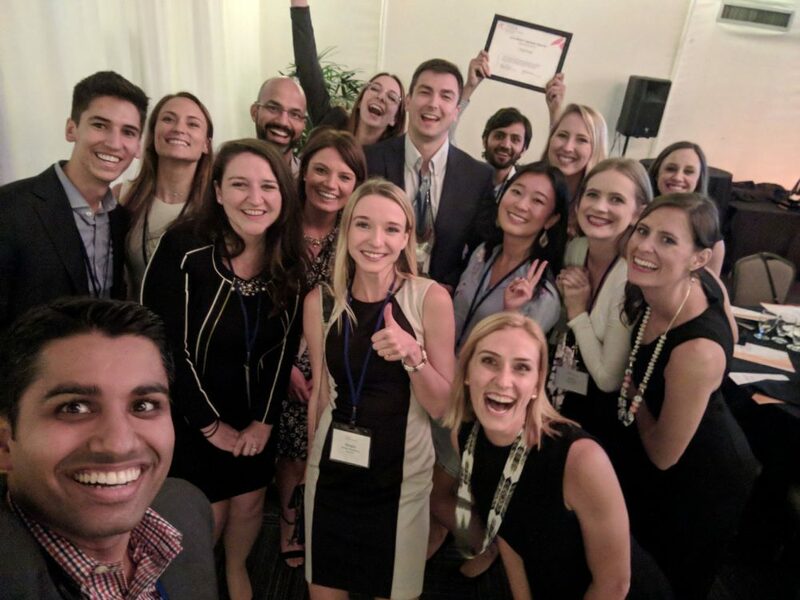 Best Data Driven SaaS Product at the SaaS Awards: Recognizing products that actively demonstrate intelligent use of data, OneTrust is a finalist in the Best Data Driven SaaS Product category, and the winner will be announced later this year. Risk Management Product of the Year at the CIR Risk Management Awards: The Risk Management Awards recognize those that have significantly added to the understanding and practice of risk management. OneTrust is a finalist in the Risk Management Product of the Year category, and winners will be announced later this year. Compliance Award at the Computing Security Awards: Computing Security Award winners will be announced in October. This award asks for public votes, so be sure to vote for us in the Compliance category! Security Innovation of the Year at the UK IT Industry Awards: Awarded to an innovative new product that has delivered measurable benefit for customers in areas such as data protection. OneTrust is a finalist in the security innovation of the year category. Winners will be announced in November. Best SaaS Provider, Product of the Year and Technology Hero of the Year at the Computing Technology Product Awards: From a leading UK technology publication, Computing’s awards recognize the best in technology innovation. OneTrust is a finalist in three categories, which will be announced in November. Technology Association of Georgia’s Spotlight Award at the 2018 Southeastern Software Association (SSA) Impact Awards: Each year the SSA Impact Awards recognize companies and their teams who have demonstrated outstanding leadership in bringing new technology solutions to the market. The winners have built outstanding software solutions that deliver a significantly positive impact on both their customers and business community. 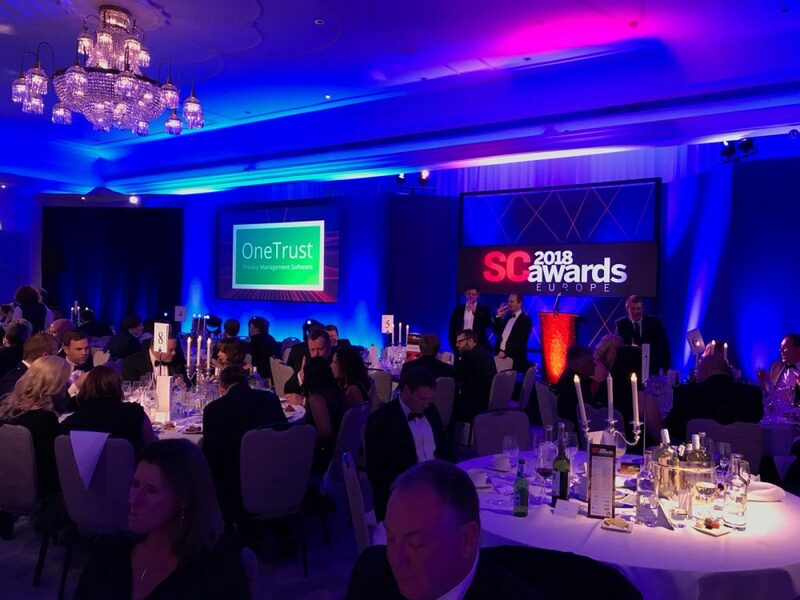 OneTrust took home the Spotlight Award – see more in our blog. Best Risk Management/Regulatory Compliance Solution at the SC Awards Europe: The SC Awards Europe praise innovation, recognize those who raise the bar and reward exemplars who facilitate and demonstrate best practice. OneTrust was “highly commended” in the Best Risk Management/Regulatory Compliance Solution category. Supplier Innovation Data Security Finalist at the Legal Week Innovation Awards: Legal Week Innovation Awards celebrate outstanding work by recognizing exceptional achievement and best practices. OneTrust was a finalist in the Supplier Innovation- Data Security category. We are excited to continue to help companies with privacy program management and marketing and web compliance as the privacy industry evolves and changes. To see all of OneTrust’s awards and accolades, visit our awards page.